Online Resource Guide to Encounter Personality, Aptitude, and Intelligence Tests! What would be the cost to pay?, "You asked..."
If you are an economist there is "No Free Lunch"
For others, most of the information is FREE! Let me ask you a straight question...! Why are you looking for information on psychological tests? Have a passion for soul peeking? Going to encounter an intelligence or aptitude test very soon? 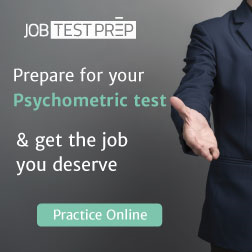 Having concerns regarding results of your psychological test? Whatever the reason may be, the psychological tests have a role to play in today's academic environment as well as workforce market. Whether you like them or not, they are going to stay and affect your life in one way or the other. For that purpose, you precisely need to know what they are...! How can an aptitude assessment determine your fitness for a particular job? Why are specific jobs associated with particular personality types? When is 'suitability' applied despite your being at the top? How do psychologists predict your academic or career future? How tests help you to discover your hidden potentials? And what skills you need to hone your capabilities when the time arrives...! I have dedicated this website to the job seekers, students, teachers, and parents to find answers for some of these questions. I have tried my best to keep things as simple as possible and let you express your opinions freely. Spend some time here, and you will benefit somewhat. Start from the left-side navigation and the links. Use search button below to find what you are looking for on this website. You may read simple and straight to the point information about different personality, aptitude, and intelligence tests. You shall also discover what others are saying about these psychological tools. P.S. There are two sharply divided opinions about psychological tests. The testing industry claims their validity from 70% to 100%. The skeptics reject them altogether by highlighting their potential weaknesses. However, the truth lies somewhere in between. Psychological Tests are helpful, but you MUST trust in your passion. P.P.S. You are invited to express your opinions at the bottom of many pages. I shall appreciate your support to improve this website. Please use “Contact Me" button for suggestions, questions, and advice. Marketers can use this button advertisement to sustain this free project.